MHS Grants Portal will be down for maintenance from Friday evening June 21 through Monday June 24, 2013. You will not be able to create an account, write or submit grant applications, or view grant information during this time. The portal will be available again on Tuesday June 25, 2013. If you have any questions, please contact the Grants Office. Minnesota Historical & Cultural Heritage Grants is accepting grant applications for Fiscal Year 2014. The first small grants deadline will be Friday July 12, 2013. View additional deadlines online. If you have questions about access to the portal, contact John Fulton, 651-259-3467; for questions about the grants program, contact Melinda Hutchinson, 651-259-3459. The Minnesota Historical & Cultural Heritage Grants program training workshop video for the 2014-15 biennium is now available online. Contact the Grants Office or Melinda Hutchinson, 651-259-3459, with questions. Contracted with qualified professionals to prepare construction documents for the restoration and preservation of the Reads Landing School, listed in the National Register of Historic Places, and used as the Wabasha County History Museum. Lots of education needed to correct common misconceptions of history. Many centennial commemorations are on the horizon. Which ones will your organization observe for Minnesota history? Check out this interactive map of historic resources in Goodhue County. Museum of Florida History, Tallahassee FL, seeks Senior Curator. Deadline: July 5, 2013. Join modern architecture and design enthusiasts on Thursday June 20, 2013, 6-8 p.m. for the 5th Annual Mod Mixer, presented by Docomomo US/MN and held at findfurnish, Minneapolis. RSVP online. Excelsior-Lake Minnetonka Historical Society, Excelsior MN, invites the public to a talk by local historian and writer Paul Maravelas on the history of Big Island, Thursday June 20, 2013, Southshore Center, Shorewood, 7 p.m. Call 612-516-1958 for more information. Winona County Historical Society, Winona MN, hosts an exhibit about local and regional studio furniture makers, "The Art of Fine Furniture," opening June 22, 2013, 1-3 p.m. Call 507-454-2723 for more information. Dakota Wicohan of the Lower Sioux Indian Community will present two Dakota language programs at New Ulm Public Library, Thursday June 27, 2013; 3 p.m. for children and 6 p.m. for adults. Call 507-359-8334 for more information. 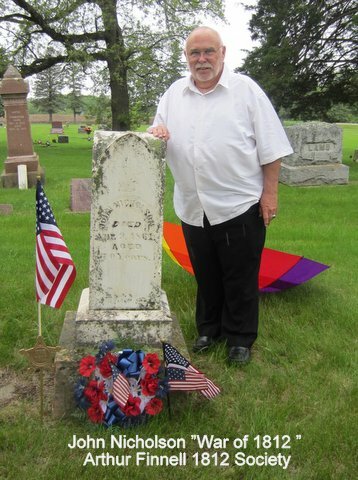 Mower County Historical Society, Austin MN, invites the public to the next Lunchbox History Series, Thursday June 27, 2013, noon to 1 p.m. Arthur Louis Finnell will discuss his project to document War of 1812 soldiers in Minnesota. Free; bring your lunch. Call 507-437-6082 for more information. Wright County Historical Society, Buffalo MN, is starting a new book club to highlight Wright County's authors and literature. The first meeting will be held Friday June 28, 2013, 1:30-3 p.m. Author Christine Husom will discuss her book "Murder in Winnebago County." Call 763-682-7323 for more information. Historical and Cultural Society of Clay County, Moorhead MN, announces the annual open house at the 1871 Bergquist Pioneer Log Cabin, June 28-29, 2013, 1-4 p.m. New this year is a historic cooking demonstration with Tracy Harland. Call 218-299-5511 for more information. Join the Mankato Baltics as they host their annual tournament at Erlandson Park, Hilltop Mankato, Saturday June 29, 2013, noon-3 p.m. For more information contact Blue Earth County Historical Society, 507-345-5566. Boy in Blue Memorial Project and Mankato Area Community Band sponsor "Hallowed Ground: A Musical Tribute to the 1st Minnesota's Heroic Charge at Gettysburg--July 2, 1863," Tuesday July 2, 2013, 7:30 p.m., Historic Lincoln Park. Call 507-491-4171 for more information. Ramsey County Library-New Brighton hosts local author Dave Kenney, who will speak about the Minnesota Homefront during World War II, July 11, 2013, 11 a.m. Call 651-724-6022 for more information. Hennepin History Museum, Minneapolis MN, invites the public to view a new Aquatennial exhibit, "Historic Aquatennial--A look at the Aquatennial Collection of Ken Hafften," July 12, 2013 1 p.m. Free admission on opening day. Exhibit closes July 20. Call 612-870-1329 for more information. Scott County Historical Society and Scott County Library System, Shakopee MN, host a screening of "From Wasioja to Washington," Wednesday July 17, 2013, Jordan Library, 6:30 p.m. Call 952-445-0378 for more information. Friends of Minnesota Barns invites the public to a Two-for-One Coffee Chat, July 21, 2013, 1 p.m., beginning at the Ramsey County Poor Farm barn and continuing at the Bruentrup Heritage Farm, Maplewood MN. Call 612-338-2276 for more information. Pond Dakota Heritage Society, Bloomington MN, hosts author Bruce A. Kohn, who will discuss his book "Dakota Child, Governor's Daughter: The Life of Helen Hastings Sibley," Sunday July 21, 2013, 2 p.m. Call 952-563-8738 for more information. Rockford Area Historical Society, Rockford MN, announces that Teen Nights are back for the summer! Join them Thursdays June-August 2013, 5-7 p.m. for food, friends, and activities. Call 763-477-5383 for more information. 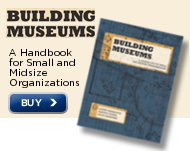 Museum Assessment Program (MAP) is an IMLS-funded program available to small and mid-sized museums of all types. Apply now; deadline July 1, 2013. Contact MAP, 202-289-9118, for more information. American Association for State and Local History (AASLH) offers Collections Camp: Costume and Textiles workshop, July 24-26, 2013, Kingston RI. Minnesota Association of Museums holds their 2013 Annual Meeting, "Take This: A Collective Effort," October 6-7, 2013, College of St. Benedict & St. John's University, St. Joseph and Collegeville MN. Session proposals due Friday June 21, 2013. Western Museums Association's 2013 Annual Meeting will take place October 9-12, 2013, Salt Lake City UT. Early bird registration ends July 31, 2013. New application guidelines are posted on the National Endowment for the Humanities website for America's Historical and Cultural Organizations: Planning and Implementation grants. Deadline: August 14, 2013. Minnesota Explorer travel newspaper, published by Explore Minnesota in partnership with the Star Tribune, is switching to a new, tabloid-sized format for the fall edition, coming out this August. Star Tribune is selling ad space now for the fall edition; deadline Monday July 8, 2013. Call Star Tribune for more information, 612-673-7009 or 800-829-8742. Nominations are now being accepted for the 2013 Minnesota Preservation Awards, a program run by the Preservation Alliance of Minnesota (PAM). Nominations should focus on preservation projects or worthy efforts of communities, groups, or individuals that have been completed with the last three years. Deadline: Monday July 15, 2013. Green Museums Accord is a voluntary, non-legally binding commitment to adhere to five general 'green' principles. Sign up today. Murray County has hired Dr. Anita Gaul to be the County Historian. She will be working closely with the End O Line Railroad Park and Museum and the Murray County Historical Museum on historic preservation projects. Frederick Weyerhaeuser and the American West, by Judith Koll Healey, Introduction by Char Miller.